Pricing - Regular Cassette $25 ea, Mini Cassette $30 ea, and Micro Cassette $35 ea. 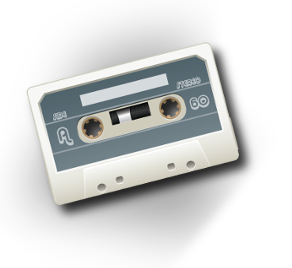 Transfer your old Cassette recordings to CD, MP3 or WAV files. Pricing varies by audio cassette type. You have a choice of return formats. CDs are returned via UPS, and MP3 and WAV files are returned via web download links. You can also send in your own flash-drive or buy one from Cintrex here online. From Janet of Berkeley, California on 7/26/2012 . I received the tape in great condition, thanks very much. You really pulled a lot of sound off of that old piece.